Vodafone today announced that its latest tablet device, the Samsung Galaxy Tab 10.1v, has been delayed until May 4 in Australia. Read our comprehensive Samsung Galaxy Tab 10.1 review, and see how it stacks up against the iPad 2 in our Samsung Galaxy Tab 10.1v vs Apple iPad 2 tablet showdown. Initially set to be available from "mid-April", the Galaxy Tab 10.1v will now launch in selected Vodafone stores and online from 4 May. In addition, the Samsung Galaxy Tab 10.1v will be available for pre-sale exclusively to Vodafone customers from 20 April, for delivery in the week commencing 1 May. Vodafone customers who pre-order the Galaxy Tab 10.1v will also receive a genuine Samsung case for the device. 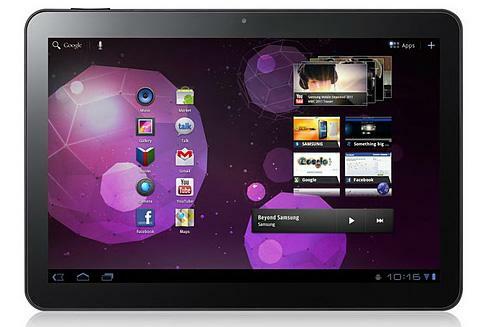 The Samsung Galaxy Tab 10.1v runs Android 3.0 Honeycomb, which has specifically been designed for tablet devices. The software doesn't come with any UI overlays and is instead a "vanilla" version of the Honeycomb OS. Key features of Android 3.0 Honeycomb include tabbed Web browsing, support for 3D graphics, added enterprise features like encrypted storage, a redesigned keyboard, and completely redesigned interface that aims to take advantage of the larger tablet screen. The Samsung Galaxy Tab 10.1v Android tablet also features a rear 8-megapixel rear camera that doubles as a 1080p HD video recorder, a 2-megapixel front camera for video calls, and dual-speakers. The Galaxy Tab 10.1v is powered by a 1GHz dual-core processor, has 1GB of RAM and 16GB or 32GB of internal memory, but there is no microSD card slot for extra storage. The Samsung Galaxy Tab 10.1v will be available for a limited time only. The device will cost $729 as an outright purchase which includes 6GB data with a three month expiry. It is also available for $259 upfront on a range of 12 month plans, and $0 upfront on various 24 month plans. For more details on these plans, visit Vodafone's website.